12 April 2018-- In this piece, we will look at the role of the People's Mojahedin Organization of Iran (PMOI/MEK) during the Iran-Iraq war, but let’s begin with some background to the war. Iraq invaded Iran on September 20, 1980, following repeated provocative border crossings by Iranian forces and warmongering military actions ordered by Khomeini, then supreme leader of regime. Nonetheless, majority of Iranians, including the MEK, went into battle to defend their homeland. By January 1981, the tide on the war had turned against Iran, and by June 1982, Iran had reclaimed almost all of its lost territory. Iraqi President Saddam Hussein proposed a ceasefire and the withdrawal of his troops from Iranian land, but by then the Iranian mullahs could smell blood in the water and refused to agree to the peace talks. How was the MEK involved? In 1986, four years after the peace talks were rejected, the Iran-Iraq war was still going strong and the MEK, the Iraqi government, and the people of Iran all wanted to end the conflict, but the mullahs held out, hoping to export their Islamic republic into Iraq and make Iraq into an Iranian province. At the same time, around 1,000 members of the MEK had arrived in Iraq from France and Iran and many other countries in order to set up a new base of operations for their fight against the clerical dictatorship in Iran. The Iraqi government granted them a small patch of barren land in the desert on the border between Iraq and Iran, which had only a few partially-constructed buildings, no running water, and no electricity. Still, the base attracted hundreds more Western MEK supporters, mainly students and professionals, and had to expand quickly. In order to bring an end to the Iran-Iraq war, the MEK began an international campaign and formed the National Liberation Army (NLA), which eventually resulted in a UN ceasefire. How did the MEK do in battle? The MEK’s NLA was independent of the Iraqi army and was not involved in the conflict between the Iranian and Iraqi armies. Instead, the MEK targeted Supreme Leader Ruhollah Khomeini’s Revolutionary Guards Corps (IRGC) in a series of cross-border raids, whilst the Iraqi army took on a defensive formation. In 1988, the MEK deployed tanks and armoured vehicles ten miles into Iran in its first major strike, before it battled two Iranian divisions along a 31-mile front.  Then, the MEK took part in another battle against the IRGC, which caused large numbers of IRGC casualties and resulted in the capture of over 2,000 IRGC fighters. This growing campaign by the MEK terrified the mullahs, who worried that the next offensive would spark a second revolution and cut the Regime down. Khomeini didn’t want to risk the fall of the Regime and so accepted a UN ceasefire. What happened to the MEK after the war? When the war ended, the MEK turned their focus to making Camp Ashraf into a liveable city and fighting for the removal of the undemocratic mullahs’ regime from Iran. Sadly, they were subjected to many brutal assaults, which killed dozens and injured hundreds, from both the Iranian Regime and, after the fall of Hussein, the Iraqi government, who were merely Iran’s puppets. After 28 years of horrific abuse, the MEK was evacuated to Albania in 2016, where they continue their struggle for a Free Iran.